Spending your money is a no-brainer, whereas saving money isn’t, which is why budgeting your expenses can be a lifesaver to avoid putting you into debt or to help you eventually get out of debt. Budgeting is the process of mapping out ways to spend your money. 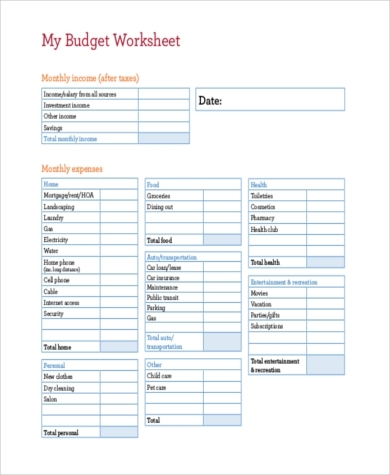 Since budgeting entails planning, it ensures that you are able to set aside money for the things that you need. Budgeting your money can start through baby steps. 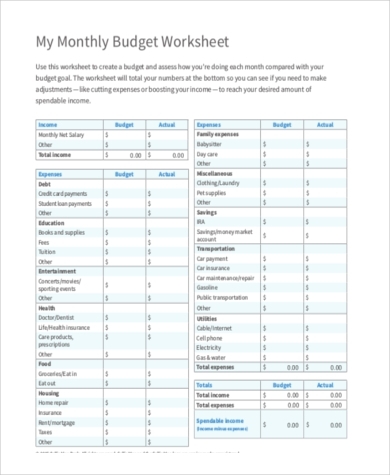 You may decide to start by budgeting your daily expenditures, and then move on to weekly planning, until you are able to forecast your budget for a month or even a year. 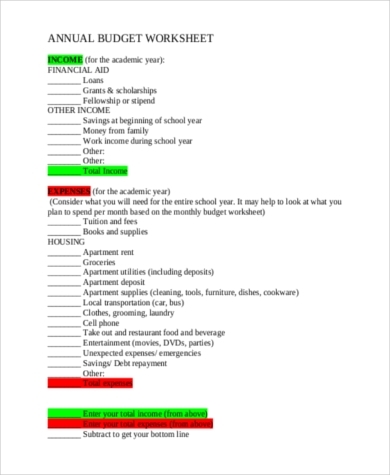 Through our Budget Forms below, budgeting will be as easy and efficient as you want it to be. Different jobs have different means for payroll. 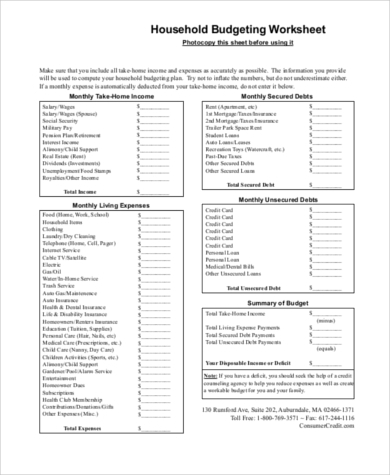 Try to figure out how much income you earn in a month. Some people are paid by the month, others by the hour, biweekly, or have odd jobs. Regardless of what type of job you have or how often you receive paychecks in a month, you must first determine the net amount of income that you receive in one whole month so you can figure out how much money you should budget. The key to successful budgeting is to keep a keen eye on your expenditures. 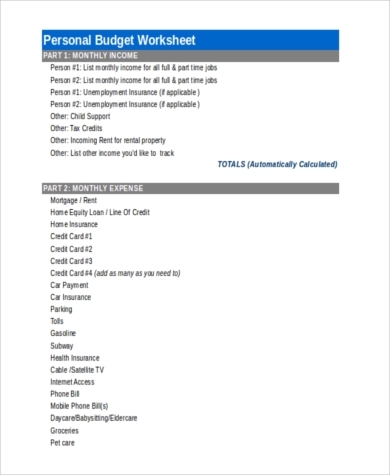 After you are able to see your total monthly earnings, make an overall total of the bills or debts you need to pay each month such as mortgages, car loans, phone bills, credit card bills, groceries, internet service, etc. 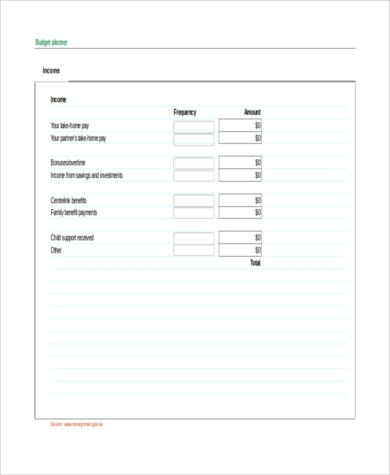 Through the Expense Forms we have provided, it will be quicker and easier for you to track the monthly bills you have to make each month. If you have a hard time recalling some expenses that you have made, look into your receipts to help you see how much you typically withdraw from the bank in a month, or how much you usually spend on groceries. 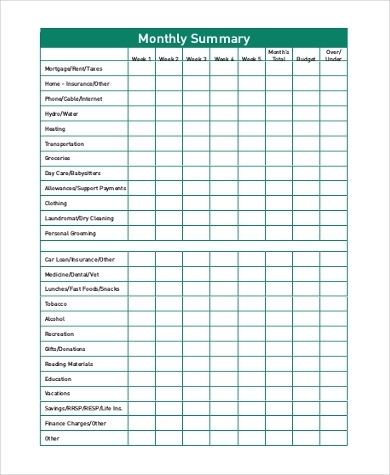 One of the best ways to plot your budget is by using a planner. 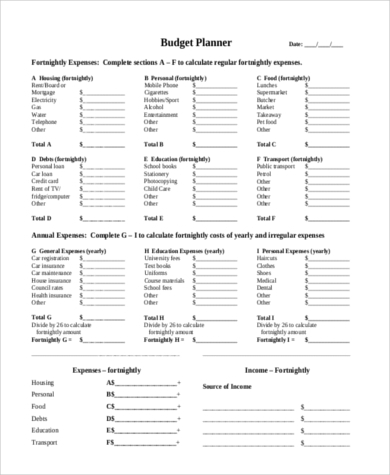 Our Sample Budget Forms are designed in varying templates to help you organize your expenses and the amount that you can save. 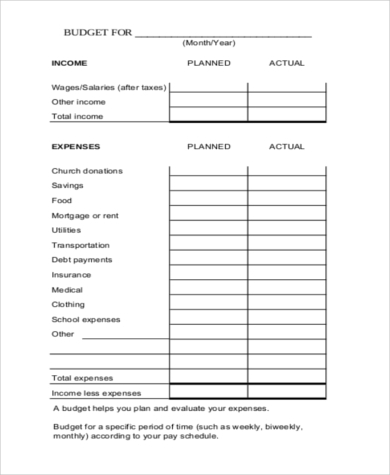 Separating a budget for unexpected situations is also one way to prepare yourself for the rainy days. Remember to keep your monthly budget within your monthly earnings. No matter how much we try to foresee our financial situations, we have to be realistic in accepting that value of money fluctuates. Every day prices hike, gas prices increase, and the stock market soars and plummets. 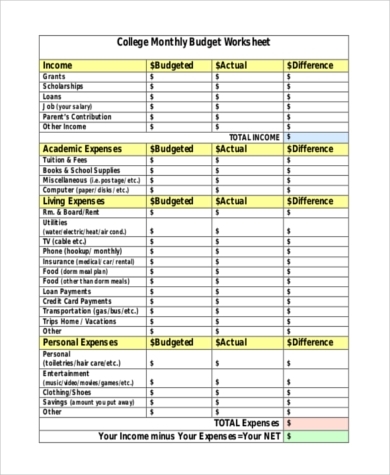 At the end of the day, it is still important that you are able to keep track of your budget through the months and to continually figure out ways on how to potentially increase the amount of savings you collect in a month to prepare yourself for any possible life changes.